Wander through June in Wonder! School is out (or nearly out), summer is officially around the corner and I imagine everyone is ready for the nostalgia that summer brings –watermelon, ocean breezes, and bare feet. Summer is amazing. It affords us the time to explore ideas and projects that we put off during the school year. It also offers a sort of “permission” to slow down. I love that best. Normally I block off lots of time in summer for playing, but this summer I have so many exciting things going on! I’ll get my summer play in for sure, but I can’t wait to tell you about what’s in between! I’ve got lots of new in person art workshops, and most exciting, the new book is almost here! Check it all out! The book will become available June 27 – on Wonder Wednesday no less! Want a little taste of what it’s about? Well, here you go! Spend your days with children under age 6? Want to engage young children with the wonders of their natural world? Need tips and tricks for building your confidence to be outdoors with infants and toddlers? Seek child tested and parent/teacher approved creative activities that capture young children’s attention, teach about nature, and encourage physical and emotional development? If you answered yes, Wonder and Wander is for You! 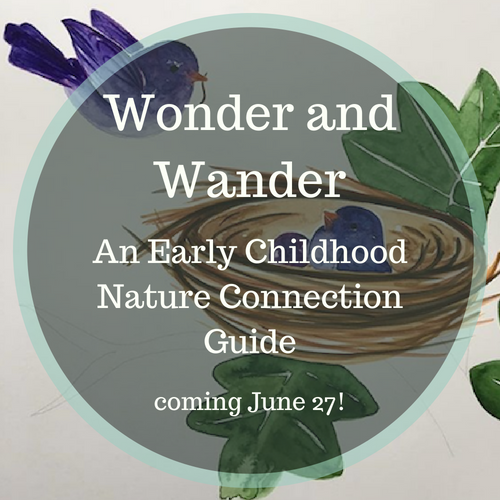 In Wonder and Wander, I offer my creative nature connection experience to those in early childhood education and care at home, school, and in the community. Inside, find nearly 100 activities, creative projects, and games, as well as garden and outdoor advice and ample resources to set you up for being-outdoors-with-young-children success in all weather and seasons! — regardless of prior nature experience. Whether you have a flower pot on a patio or a wilderness out your windowsill, this guide provides the tools for outdoor learning play success — in the backyard or the schoolyard all year round. This book will inspire you to gather the little ones and wander through nature’s wonders everyday! 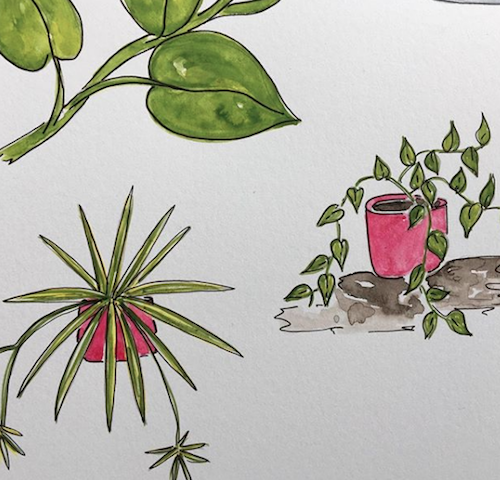 This book grew out of my years teaching in Montessori toddler environments, guiding early childhood gardening classes, and being an auntie to a bunch of very special children! As well as from the questions asked to me by countless adults and my desire to help those adults feel confident getting their little ones outside everyday. And to celebrate, the June Wonder Wednesday activity will be live. We haven’t done a live Wonder Wednesday since last summer, and I also want to give away a copy to the book to a lucky attendee! Mark your calendar for 6/27 at 11 am est and join the fun! Also be sure you are subscribed to the Wonder Wednesday Newsletter to get the link to log in to the June Wonder Wednesday Live the day before! Click here to subscribe if you aren’t already, or to reconfirm post GDPR stuff. 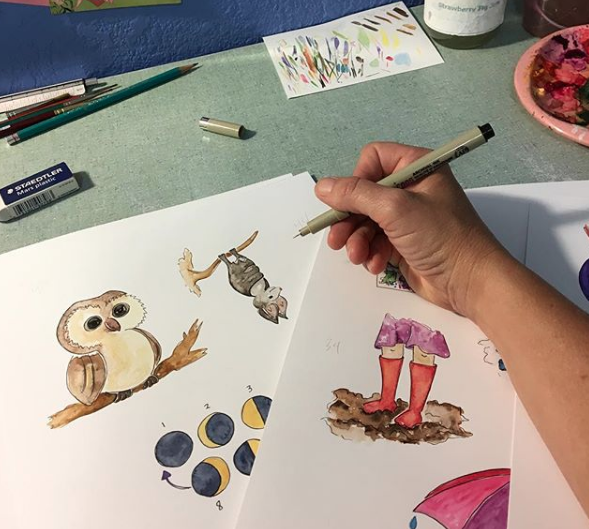 These are evening classes for adults & teens where we’ll have some fun playing with paint as we learn watercolor techniques, experiment with pen outlines and accents, and learn to paint the nature that brings so much joy and inspiration to our world. 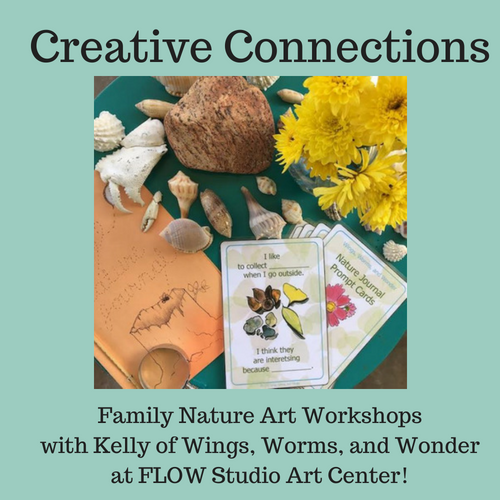 These classes are great for beginners, people getting back into art after a break, or anyone looking to relax with a little nature-inspired art making. 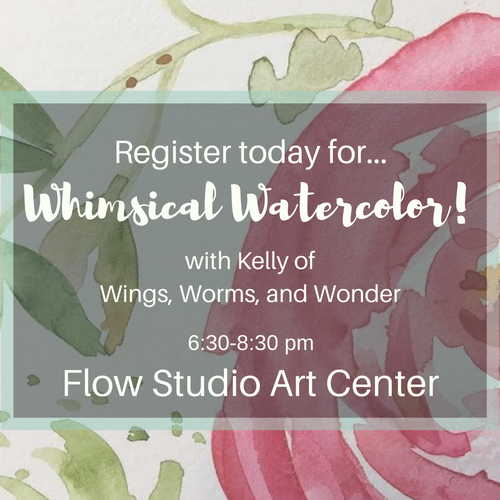 Whimsical Watercolor classes are scheduled for June 18, July 24, August 14, and September 11. Click here to learn more about registering! These are 1 hour workshop for children age 5 and up with their grown-up. 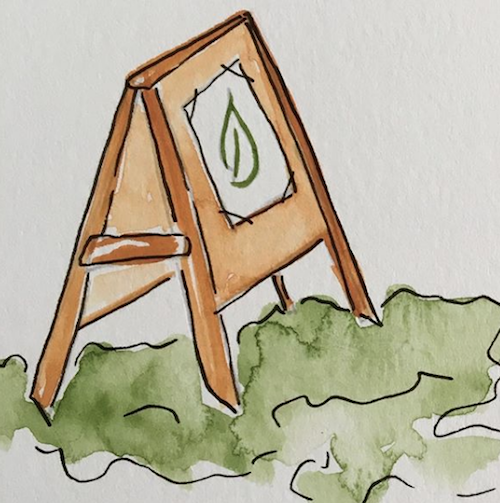 We will explore seasonal nature, make a nature art project, and spend a little time learning to nature journal – together! 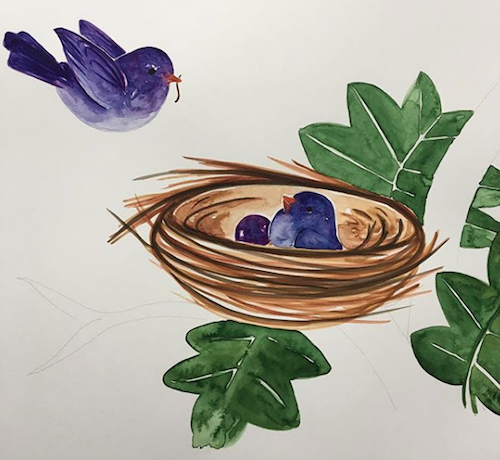 Creative Connections classes are scheduled for July 17 and August 9. If there is interest, these classes may expand to a series during the school year! Let me know what you think! Click here to register. This 1 hour workshop is especially for preschool children ages 3-5 with their grown-up. 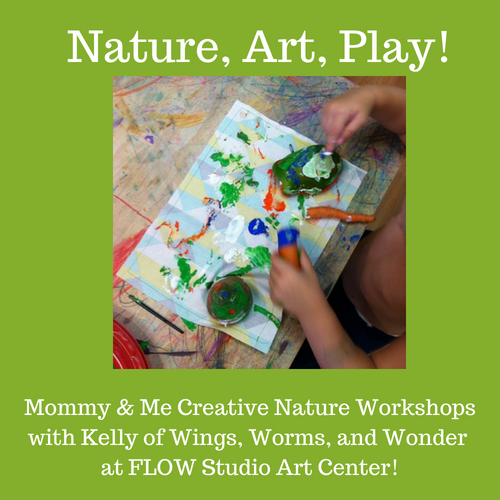 We’ll play with seasonal nature, read nature stories, sing nature songs, and make a nature inspired art project! The Art Play class is scheduled for September 11. Click here to register. These classes are going to be a lot of fun. I’ve been wanting to teach some local in person art classes, and now it’s possible! This is going to be a great summer and I am so glad that all of you are a part of it. I’ll see you on June 27 for the live Wonder Wednesday activity and celebration. And in the meantime, I’ll catch ya on Instagram @wingswormsandwonder! What creative nature connecting do you have planned for this summer? Make sure you are subscribed to the email newsletter so you get your link to the June LIVE Wonder Wednesday event and Wonder and Wander Book giveaway! Click here. Can’t make it to an in person workshop because we don’t live in the same town? Check out one of my awesome watercolor courses in my online nature painting school! Summer Solstice is June 21! How will you celebrate? Make a summer pressed flower book with this video tutorial I made for you last summer. Looking for activities for children ages 6-12? 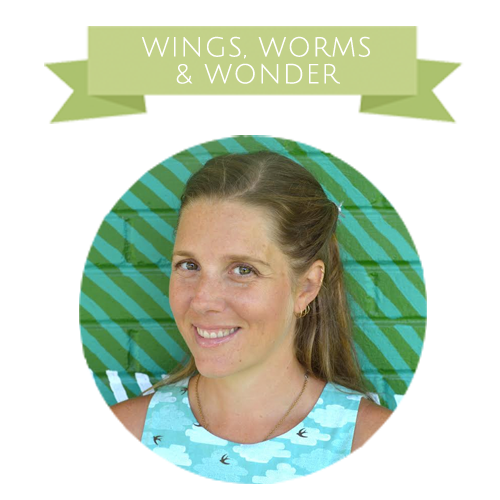 Be sure you check out my award winning book Wings, Worms, and Wonder: A Guide for Creatively Integrating Gardening and Outdoor Learning Into Children’s Lives. It’s CHOCK full of activities, ideas, tips, tricks, and inspiration for keeping children and nature connected at home, school, and in the community!